You guys probably know that we do have our greenhouse and plantations. Right? Right. Up till the end of 2016 those places were located close to Lloyd’s house as to always have someone to watch over them and make sure our plants and belongings are safe. 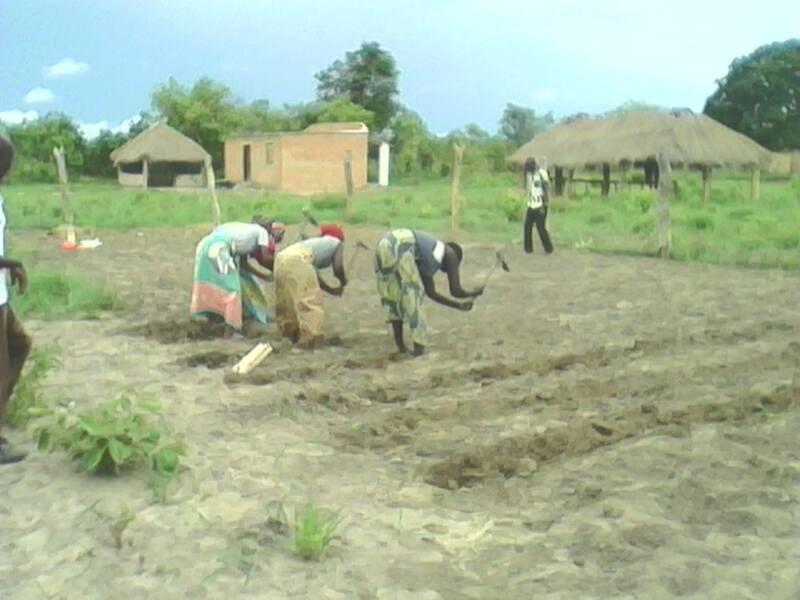 Now that we started PAF Community Center the idea came up that it makes sense to move our greenhouse and fields and plantations to the Center grounds. And guess what? That is exactly what we have been doing in the past weeks. Moving the greenhouse is one thing. 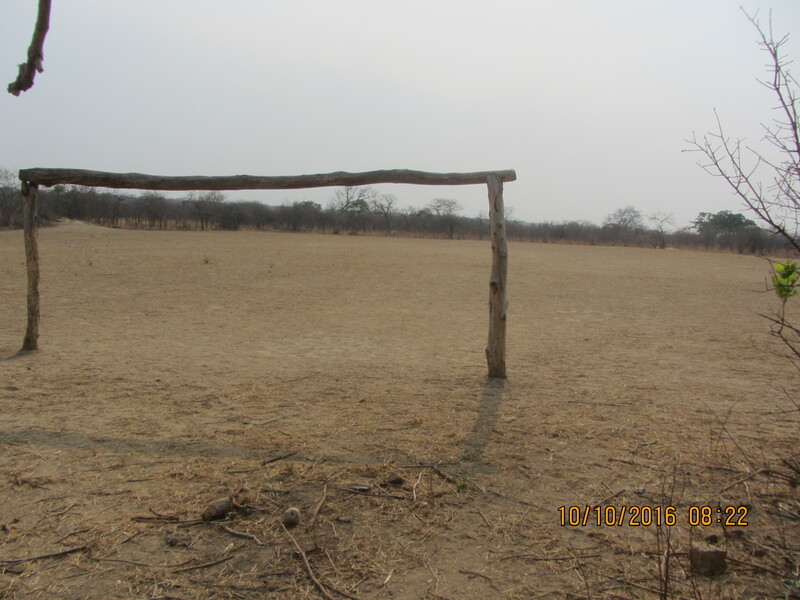 But clearing the space for new fields and plantations and preparing those for the new planting season is another. Working this dry and hard soil is a tough job. Everyone helped with that. So basically our “garden” has now moved close to PAF center. And to make sure all is safe we had to fence the greenhouse and grounds as well. As soon as we have solved the issue of securing our belongings at PAF Center we will also move the water tank and pipes and set them up there for irrigation purposes. But for now those remain close to Lloyd’s house to keep them safe. And now that planting season started we can grow our plants at our PAF grounds. Pretty cool, huh? Wonder what we will be planting here…seeds are ready. 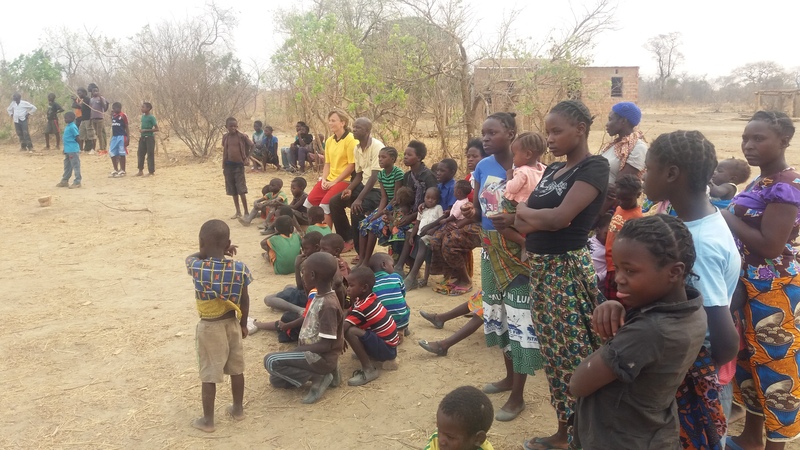 As you all know the main objective of PAF is to promote household food security in Chinkonono and the surrounding villages. It is in this vein that PAF, with the intention of supplementing members’ effort in securing household food security, embarked on a seed and fertiliser support programme. 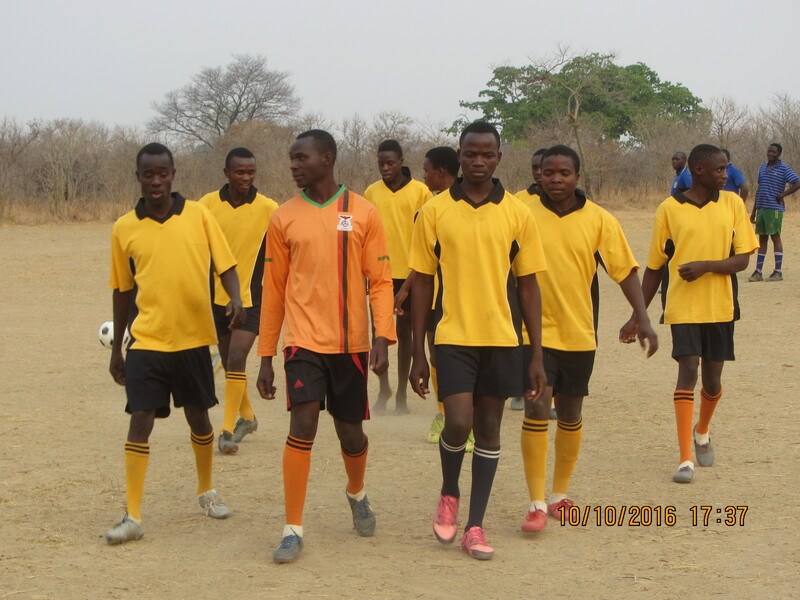 Eleven members who where willing to take part applied and were given 4.000 Kwacha (roughly 400 Euros) from the PAF bank account. This money was paid to the Ministry of Agriculture under FISP (Fertiliser Support Programme). This is a national programme in which farming inputs are subsidised at fifty percent to enable peasant farmers access farming inputs. Each of the eleven members got three and half bags of fertiliser and one bag of seeds. 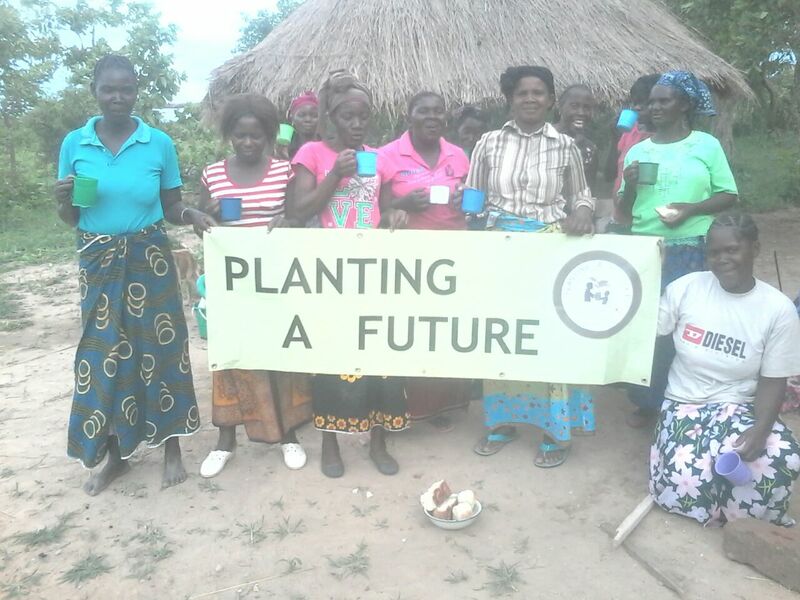 Hence each of the beneficiaries are able to grow a hectare of maize. 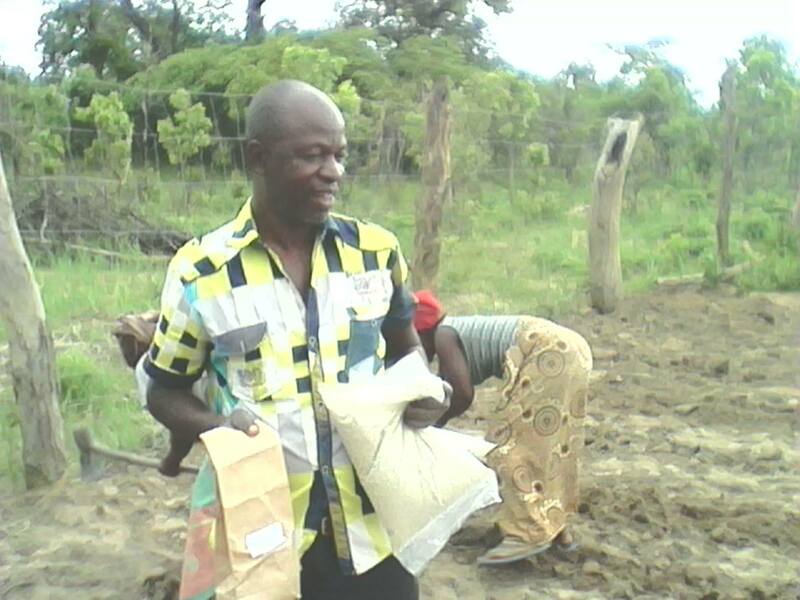 The expected harvest for each beneficiary is 75 to 80 bags of maize. 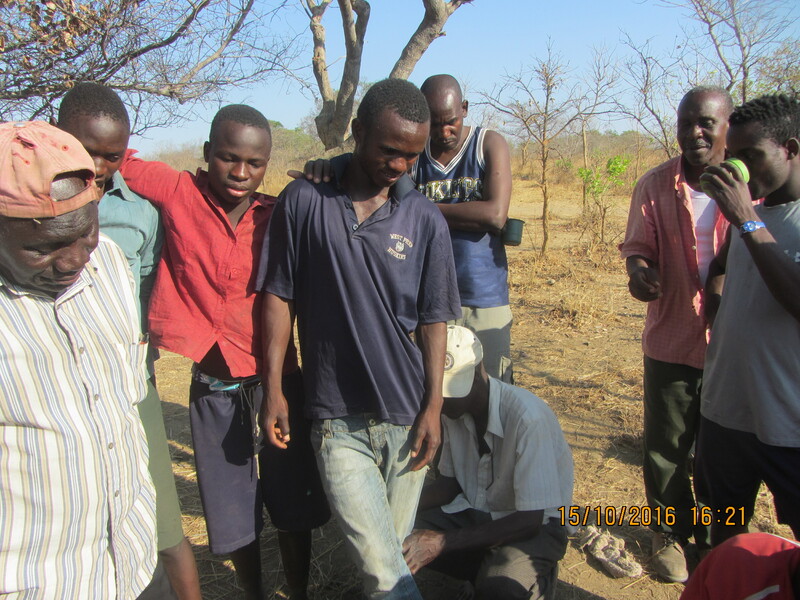 Each of these beneficiaries will pay back 400 Kwacha to the project in May. That way we can already raise the money to attend in programme again end of 2017. 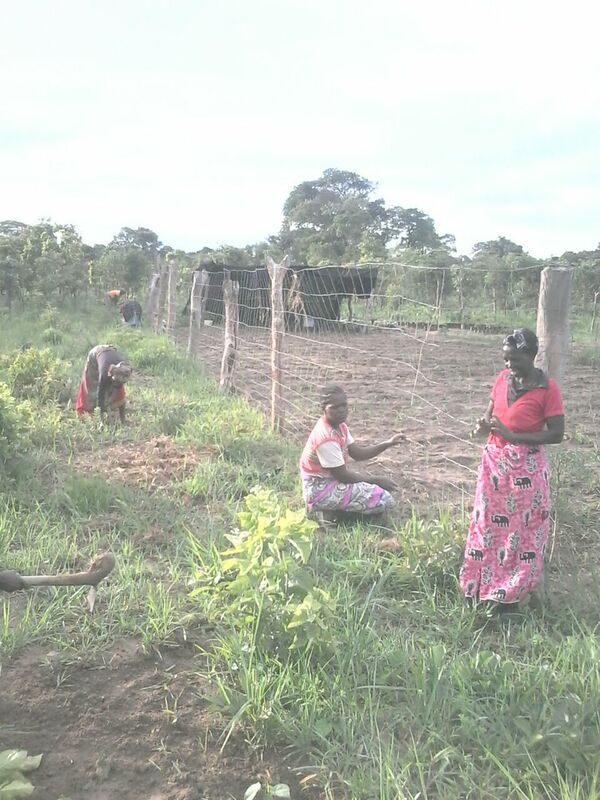 Due to this project plus very good rains Chinkonono village is gearing for a bumper harvest. People will have food to eat and the extra will be sold for soap and salt. 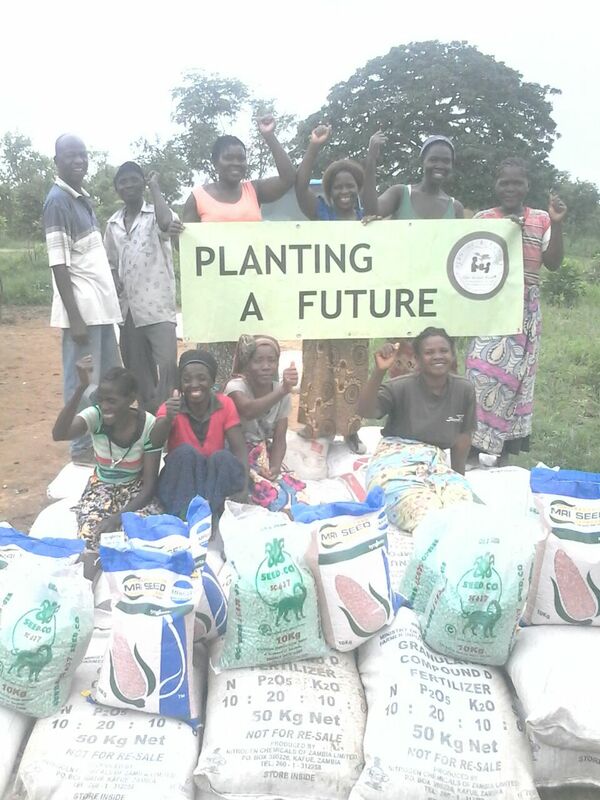 We are really loving without borders thanks to all those who contributed to the success of this fertiliser project by contributions and donations. This should boost the 2017 harvest! World over, despite different faith and beliefs, Christmas is a family reunion time. After the generous donation from RotB in 2015 when we celebrated Christmas for the first time…this year should be very special for Chinkonono kids as this Christmas was for them. 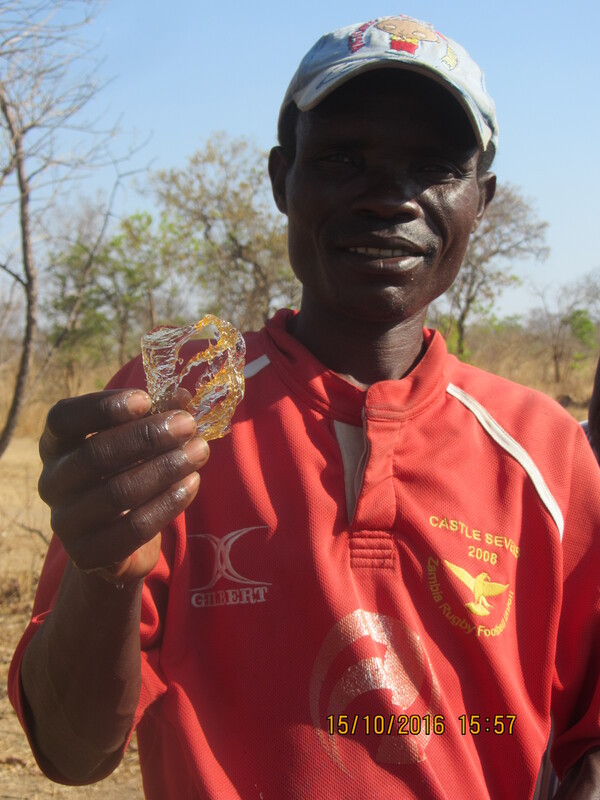 Thanks to our German Mama Africa Bruni we could buy a lot food and even some sweets in 2016 again. About 900 Kwacha were spent on food and drinks. We bought rice, sugar, flour, potatoes, tomatoes, onions, biscuits, one goat and three chickens. 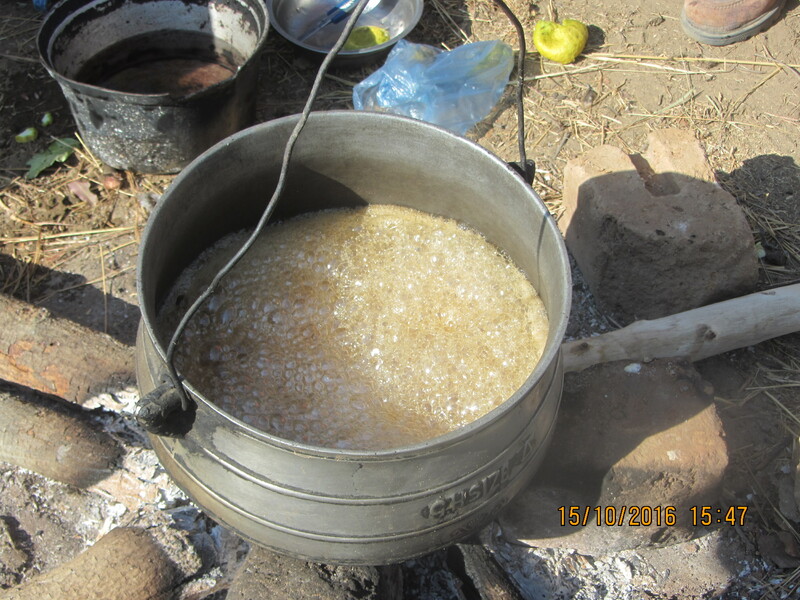 Our ladies spent hours and hours stirring the pots and cooking. What a feast that was. So much meet and different kind of dishes. A truely great day for everyone! 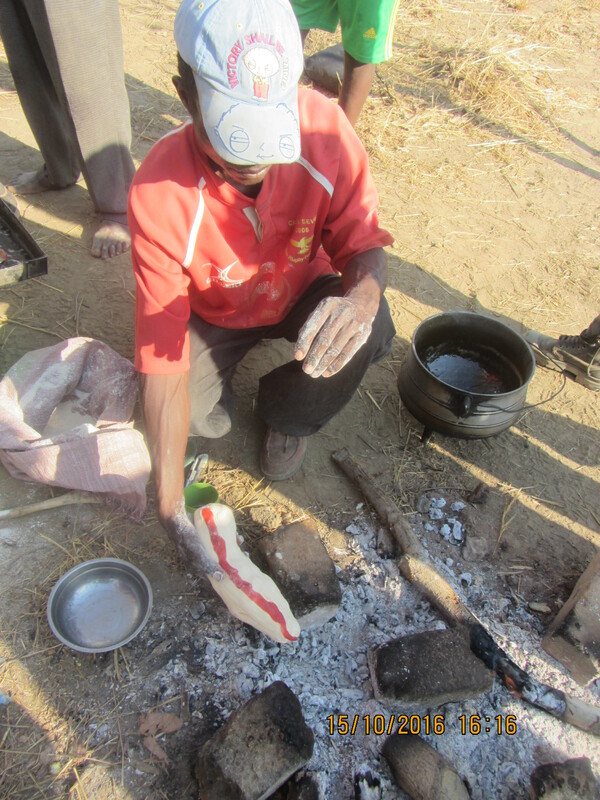 Wesley surprised everyone by homemade bread and buns. 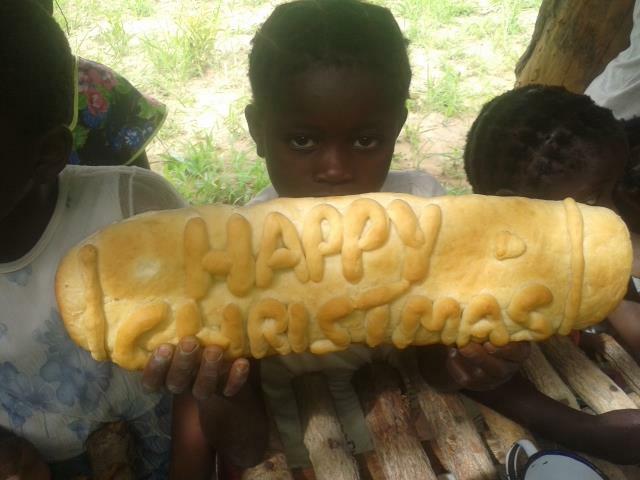 He even created his masterpiece: the Christmas Bread. Cool, huh? All Chinkonono kids were present: In total 145 kids took part in the feasts. These kids were coming from PAF and non-PAF households. 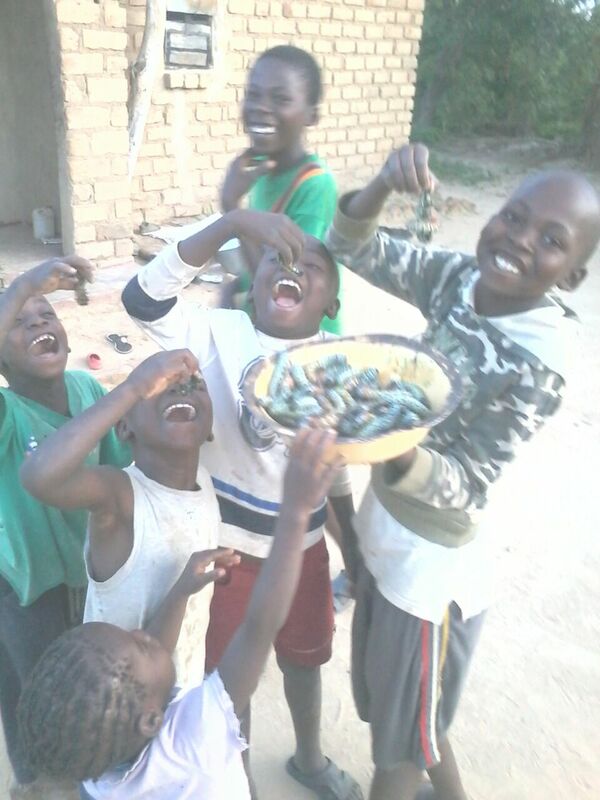 If you think that was all…well, there were also those yummy Vinkubala that the kids love so much. Not an everyday snack. In the past Christmas went by without people in the village taking part because it was impossible to celebrate due to lack of food. All this was possible after PAF members in Germany took it upon themselves to bring joy and make Chinkonono celebrate the birth of Jesus together with the rest of the world. Merry Christmas from PAF 🙂 And Twalumba, Bruni!